Video content holds attention, conveys information quickly, and is highly sharable, but it’s often overlooked as a tool for bringing in construction leads. Used skillfully, though, your videos can attract leads in several ways. 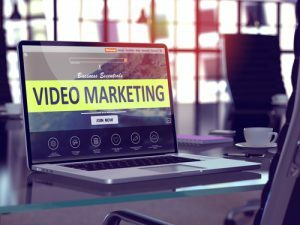 Gate your videos – Value-packed videos can give your website visitors an incentive to hand over their contact information. Choose one of your target prospects’ most pressing problems and produce a series of videos that help them avoid or solve that problem. If you offer remodeling services, you might create videos with practical tips on avoiding cost overruns and missed deadlines during a home remodeling project. Then make the series accessible in exchange for an email address. Include videos in your emails – Email newsletters that include videos have been shown to get higher clickthrough rate. That means more readers coming back to your website where you can lead them towards contacting you. A 60- to 90-second video is enough to do the job. If you’re telling your readers about a service, create a short video showing the real-life results of that services or interview a satisfied client. If you’re announcing the completion of a new office building project, take your readers on a quick video tour. Make sure the thumbnail you embed in your email displays a play button and runtime so your readers realize you’re offering a video and that it’s quick to watch. Use the word “video” in your email title to grab your readers’ attention. Invite your viewers to connect – Posting your video content on Youtube, Vimeo, and other sharing sites puts you in contact with a wider audience. Unless you motivate your viewers to get in touch with you, though, chances are they’ll just move on to the next video. To turn your viewers into leads, include a call to action in every video and give people an easy way to find your website. Consider using an app that lets you embed a Facebook “share” icon and an email opt-in form right into your video. When a potential client is learning about your construction firm, the content you publish is a big part of how they judge your credibility. By showing exactly how you’ve solved a client’s tough problem in the past, a case study makes your reliability clear. Few types of content demonstrate your real-world problem-solving skills better than case studies. 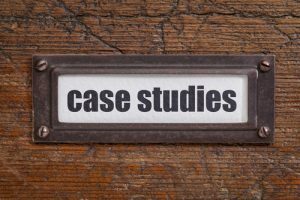 A case study backs up your claims of expertise so well because it’s essentially a client success story with an in-depth description and hard evidence to prove how you helped your client overcome a problem and reach their goals. The biggest challenges your firm has faced make ideal case studies. Write about that tricky second-story addition you built on an older home, the boutique guesthouse you built in a densely forested area or how you sourced sustainable building material for a demanding client. When your prospects see how adeptly you were able to analyze your client’s problem, devise and evaluate potential solutions, and then put your chosen solution into action, your credibility becomes undeniable. Integrating case studies into your marketing lends credence to your claims of expertise. Feature them on your home page to let your visitors read about a real person who saw success working with your firm. This works well if you have widely divergent specialties, such as home remodeling and educational facility construction. When you develop sales presentations, include case studies to let your results speak for themselves. Case studies are rife with ideas and data that can inspire blog posts, videos, infographics, and social media posts. Using your case studies as a jumping-off point for new content helps you get more use out of your existing material and draws more attention to the case studies themselves. 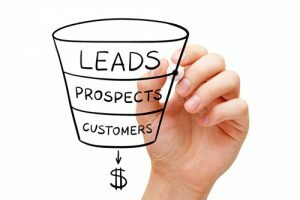 Case studies make ideal lead magnets, too. Put together a video tour or photo essay on a finished project, then offer the related case study in exchange for an email address. Because a construction project is no small undertaking, you can bet your would-be clients are checking out the reviews online before they even contact a construction firm. With a proactive online reputation management strategy, you can make sure your reviews work for you, not against you. 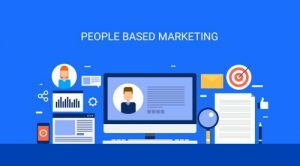 The countless opportunities to share opinions online mean your reputation is no longer limited to word of mouth circulating in your local area. Online, anyone can say anything about you and, with a quick search, your prospective clients can find those comments. Your online reputation will develop whether you take an active role in it or not. Your approach to online reputation management is what determines how much you benefit. 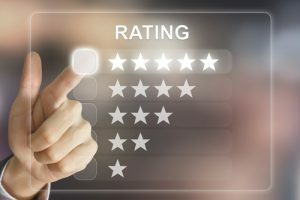 Take charge of your reviews by encouraging your best clients to share their opinions and your online profiles will be filled with positive comments that outshine any less favorable ones. You’ll have no trouble making that critical good first impression on anyone searching for you online. If you’re monitoring your reviews, you’ll have the opportunity to thank your clients who leave good reviews and offer them further services or request referrals when they’re in a buying mood. You can also ask permission to re-reprint their reviews, so you can leverage their praise in your marketing. 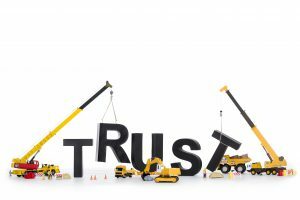 When a frustrated client shows up and you respond promptly, there’s a chance you can make amends and turn them into a happy, loyal patron. Even if that client ends up leaving, your response will remain online to show future prospects how seriously you take customer service and how respectfully you handle conflict. Ignore what’s being said about you online, though, and you’ll miss valuable opportunities while leaving both your current and prospective clients with the impression you don’t particularly care what they think. By encouraging your satisfied clients to speak up and paying attention to your reviews, you can build an online reputation that works solidly in your favor. A blog that can convert readers to leads is an invaluable marketing tool, but to bring your blog to that level, you need more than just regular construction news updates. Authoritative content combined with a little direction will give your readers more reason to contact you. Prioritize quality – To get your blog readers interested in doing business with you, you need to prove that you’re a trustworthy authority who offers something your competition doesn’t. Content that demonstrates expertise in your segment of the construction industry does exactly that. Instead of pushing out frequent short update posts, invest time in creating in-depth posts that offer real value to your target readers. As a bonus, these posts tend to get more links and shares, as well as higher search engine rankings. Offer premium content – The content freely available on your blog is great for attracting new readers, but it’s not always enough to convert readers to leads. To nudge your readers in the right direction, make some of your most valuable content available only in exchange for an email address. This works best with content that solves a specific problem or provides concrete benefits. You might offer your best tips for restoring a historical home or your analysis of data on the most profitable segments of the commercial construction market. 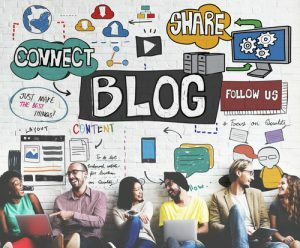 Strategically position calls to action – If you know a little about blog writing, you’re probably already including basic calls to action (CTAs) at the end of your blog posts. While that’s an important step, there’s a lot more you can do to get your readers’ eyes on your CTAs. Include them in the first half of you post for readers who might not reach the end, and in your sidebar and a pop-up or screen overlay. Experiment with wording, formatting and placement, and track your results. For example, you might find a boldly colored graphic in the middle of your posts gets better results than the form in your sidebar. 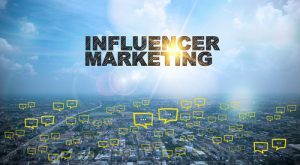 When you hire a social media influencer to create content for your construction firm, you’re getting a marketing asset that’s made to be re-purposed. Strategically using influencer content in your own content marketing ensures you get as much value as possible out of your investment. Instead of just sharing your new content as-is, add your own individual touch to further your personal connection with your audience. If you post influencer-made photos to your Facebook, Instagram, and Twitter accounts, write unique captions for each post. Later, incorporate the most popular photos into a collage or use them as part of a video. If the influencer has written a blog post or review around your services, pull some quotes and post them with your own comments. Then pay attention to your audience’s reaction. High-quality content that garners an exceptional amount likes, comments, and shares might be worth promoting though paid social media ads. Because your email list readers are some of your most dedicated fans, email is the ideal place to go into more depth on the topics your new influencer content covers. For instance, you might talk about how the content ties into your firm’s current projects or future plans. Using influencer content to spark discussion can bring you valuable feedback from your list. Ask your readers if they agree or disagree with the influencer’s opinions or if they feel the infuencer missed any important points. Photos and quotes from an influencer make easy jumping-off points for blog posts and website pages. You can provide more detail on the services the influencer talks about, expand on their thoughts about your segment of the construction industry or just respond to their opinion of your firm. For example, if an influencer mentions your kitchen remodeling skills, use that quote as the basis for a post highlighting some of the kitchens in your portfolio.